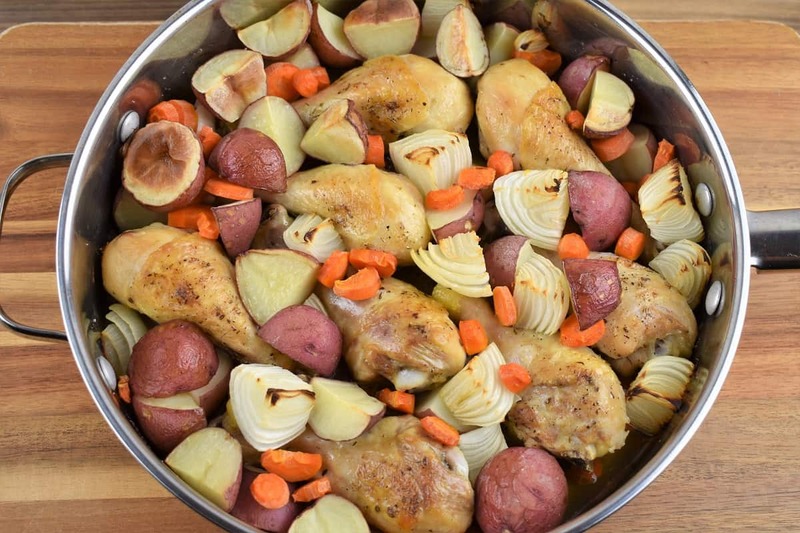 This baked chicken and vegetables is a whole meal in one pan. 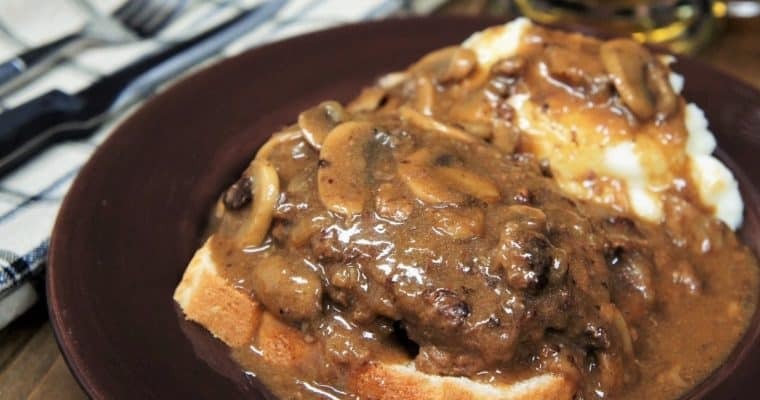 This dish is really easy to prep and cook. While the cooking time is a little over an hour, it’s totally hands off. Once it’s done, you’ll have a wholesome, filling and delicious meal with very little fuss. 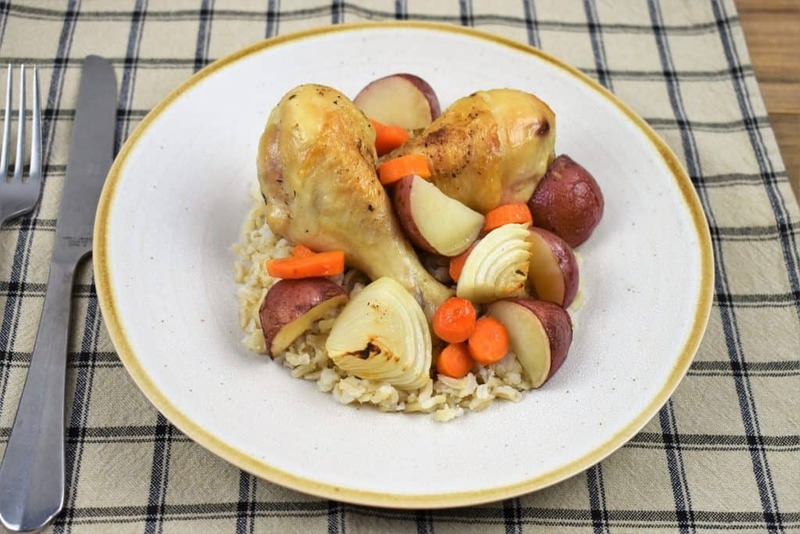 If you need to stretch a serving, serve the baked chicken and vegetables with brown rice, they’re perfect together. Looking for more easy comfort food recipes try Spanish rice with chicken and sausage or these meatballs Cuban style. Enjoy! Add 1 tsp. salt, garlic powder, oregano and black pepper to a small bowl. Stir to combine. Sprinkle the chicken on both sides with the prepared seasoning mix. Peel and cut the onions into 8 pieces. You want nice large pieces, so they hold up to the cooking time. Cut the carrots into bite sized rounds. Next, cut the potatoes into halves or quarters. Leave the skin on, it’s much easier. Plus, leaving the peel on the potatoes adds some nutrients and it looks beautiful. If you’re cutting the potatoes ahead of time, keep them in a bowl covered with cold water so they don’t brown. Make sure to use a pan that is oven proof to at least 375°F because, other than browning the chicken, this meal is prepared in the oven. If you don’t have a skillet that is oven proof, or you’re not sure, transfer the chicken to a baking pan once it’s browned. 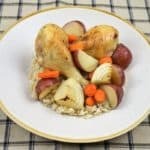 If you’re serving the brown rice with the baked chicken and vegetables, start it soon after the chicken goes in the oven. Brown rice takes a while to cook. Heat the canola oil in a large, deep skillet over medium heat. When the oil is hot, add the chicken drums. Cook the chicken for 3 minutes, turn and cook another 3 minutes. Off the heat, add the onions, carrots and potatoes to the skillet and arrange them so they’re (more or less) in in a single layer. Make sure the top of the chicken is exposed so it browns nicely. Sprinkle the top with the remaining ½ tsp. of salt and add the chicken broth. Place the chicken and vegetables in the oven and cook for 75 minutes. 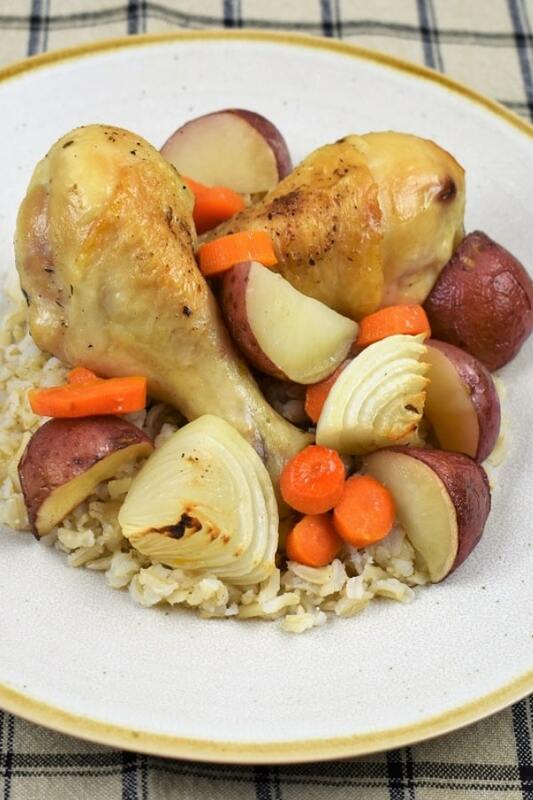 Check the chicken, make sure the internal temperature is at least 165°F at its thickest part, and that the juices run clear when pierced with a knife or fork. Also, pierce the potatoes and carrots to make sure they’re tender. Once it’s done, there will be a delicious broth in the pan. Give the chicken and vegetables a stir to coat with the broth, and/or spoon it over it when served. 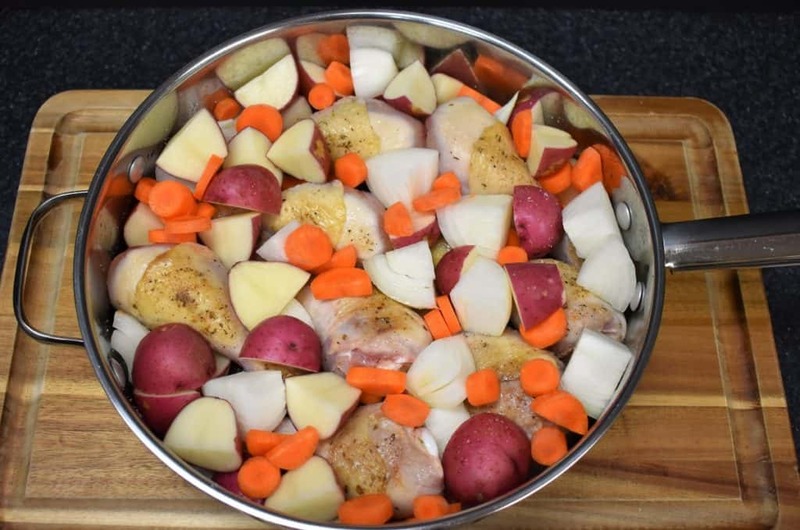 This baked chicken and vegetables is a whole meal in one pan. 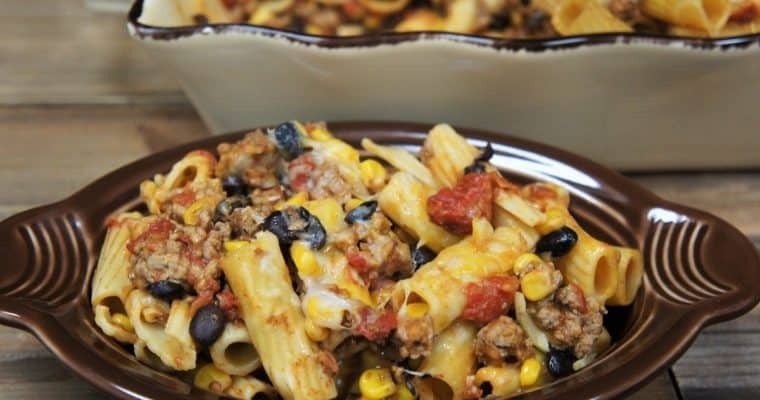 This dish is really easy to prep and cook. Heat the canola oil in a large, deep skillet over medium heat. When the oil is hot, add the chicken drums. Cook the chicken for 3 minutes, turn and cook another 3 minutes. 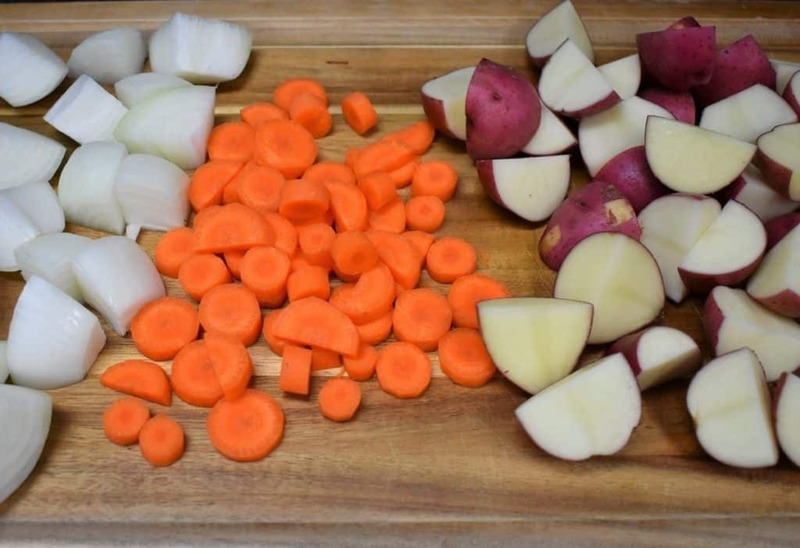 Off the heat, add the onions, carrots and potatoes to the skillet and arrange them so they’re, more or less, in in a single layer. Make sure the top of the chicken is exposed so it browns nicely. Sprinkle the top with the remaining ½ tsp. of salt and add the chicken broth. Place the chicken and vegetables in the oven and cook for 75 minutes. Check the chicken, make sure the internal temperature is at least 165°F at its thickest part, and that the juices run clear when pierced with a knife or fork. Also, pierce the potatoes and carrots to make sure they’re tender.